Engage in conversations with experts in the electrical industry. Free educational seminars; Earn hours towards your PD Credits. Raffle & Door Prizes all day! Gain the knowledge to stay abreast of your competition. Learn new innovations that will carry your business successfully into the future. Learn useful strategies driving the industry today. 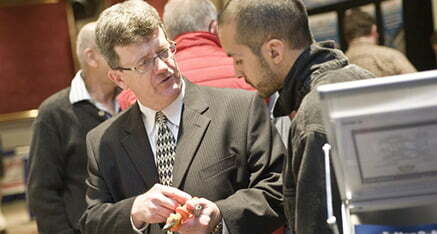 Meet and network with national electrical experts. Visit with exhibitors showcasing the latest products and services in the industry. Receive a discount coupon on your next code course! Please feel free to bring your friends, just have them register here before the show.